Add a southwestern accent to pants and jeans with our top grain cowhide leather belt showcasing an ornate Concho buckle. The silver tone buckle is beautifully engraved in a sunburst pattern framing a turquoise cabochon stone. Detachable buckle. Single leather keeper. 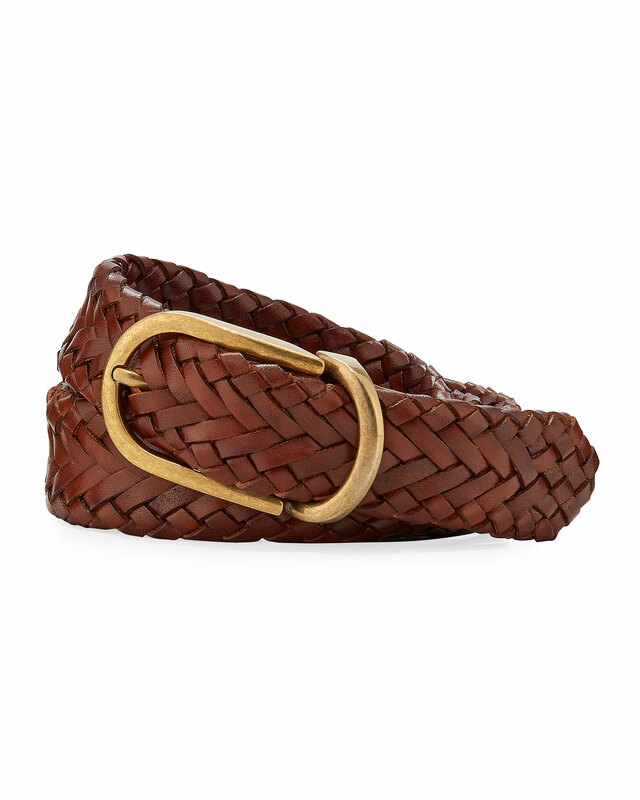 Brunello Cucinelli belt in braided leather. Our statement belt features silver-plated triangle conchos surrounded by rows of contrast topstitch. The detachable silver-plated buckle set includes a single keeper and tip. Made of sturdy American bison leather and leather lined for cushioned comfort, the Blackjack is a belt that means business. Choice of LIGHT or DARK brown. Clint Orms Jewelry is the highest of quality. Inspired Designer. Dedicated Craftsman. Respected Entrepreneur. His pieces are stunning and each made with love of the West. This is the Clay Belt Buckle Set it features 1-1/2″ sterling silver buckle set with 14g Sterling Silver rope edge and a hammered finish. Perfect gift for the Cowboy in your life. A fantastic piece by Clint Orms, The American Brandes Custom trophy belt buckle is the perfect gift for any Cowboy in your life. It pays tribute to the American flag and features Sterling Silver on the top and bottom shelves of the buckle The buckle has a place for engraving and a Sterling Silver rope edge. The buckle measures approx. 3 inches long X 2 inches wide. 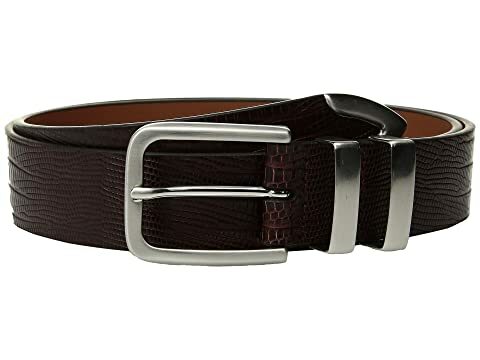 This Johnston & Murphy® dress belt has a flair that will keep you light on your feet. Richly textured embossed leather with the look of lizard skin. Brushed-nickel buckle, double keeper and tip. Choice of BURGUNDY, BLACK, or TAN. Clint Orms Jewelry is the highest of quality. Inspired Designer. Dedicated Craftsman. Respected Entrepreneur. His pieces are stunning and each made with love of the West. The Zavala Belt Buckle is 2.25″ x 1.4″ sterling silver rectangular trophy buckle with sterling silver Texas star and is engraved. Perfect for your Cowboys dress belt and paired with his dress boots and jeans. The buckle measures approx. 2.5 inches long and 1.5 inches wide.